CLEVELAND — The Cleveland Indians' beleaguered bullpen suffered another jolt when Andrew Miller went on the disabled list Saturday. Jose Altuve, who had four hits, and Tony Kemp hit two-run homers off Carrasco. Altuve's third-inning homer gave Houston a 2-1 lead, but Cleveland scored four times in the fourth — including homers by Alonso and Kipnis. 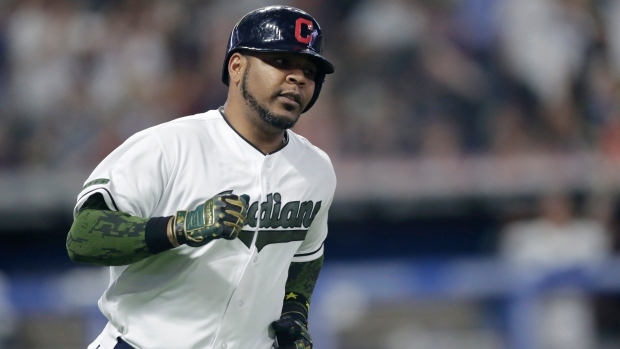 Carlos Correa had an RBI single in the fifth, but Encarnacion, who had three hits, ended McCullers' night in the bottom of the inning with a homer to centre. Altuve tripled to centre off McAllister with one out in the seventh and scored on Correa's groundout to cut Houston's deficit to one run at 7-6. But Brantley homered in the bottom of the inning to make it a two-run game again and extending his hitting streak to 15 games. The Indians wore patches on their uniforms to honour Tito Francona, father of manager Terry Francona. Tito Francona passed away at the age of 84 in February. The name "Tito" was on the uniforms and painted in the dirt behind home plate. Tito Francona played for the Indians from 1959-64.